Coca-Cola is conducting an NFC marketing campaign in one hundred Australian retail stores, with the aim of engaging consumers at the point of sale and driving downloads of its loyalty app. The promotion makes use of Coca-Cola’s existing POS marketing infrastructure, upgraded to include a Tapit NFC tag and a QR code in the participating retail stores. 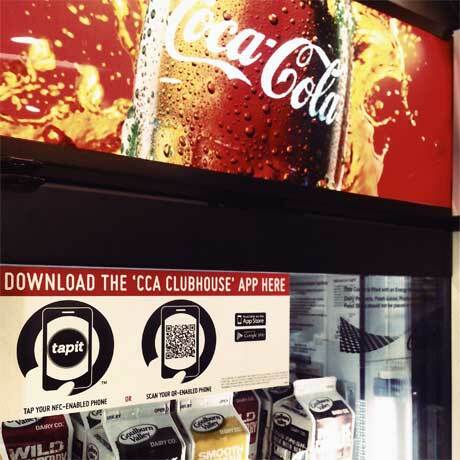 Customers who tap the tag or scan the QR code are able to download the correct Coke Clubhouse app for their type of mobile phone. “The Tapit platform determines their phone’s OS and takes them directly to the corresponding app store, removing unnecessary steps such as searching and thumb typing,” Tapit co-founder Andrew Davis told NFC World. “The Tapit platform also allows Coca-Cola to understand how consumers are engaging with their POS marketing assets as when people tap or scan, the Tapit platform is collecting analytics such as time, location, frequency of interactions, tap versus scan, model of handset, operating system, carrier and browser type. “The project will be live from now until the end of the year and we will be conducting research around consumer attitudes to NFC usage versus other mobile based engagement, such as SMS, QR, typing URLs, etc”, he added. if you will be providing hand crafted items and you can generate this yourself or educate other individuals to do this, do your own promotion via Online and word-of-mouth techniques.